Sam is enrolled in a sports sampler class this summer. Today the class was all about soccer, so I dressed Sam in his Morocco soccer jersey and headed to downtown issaquah. 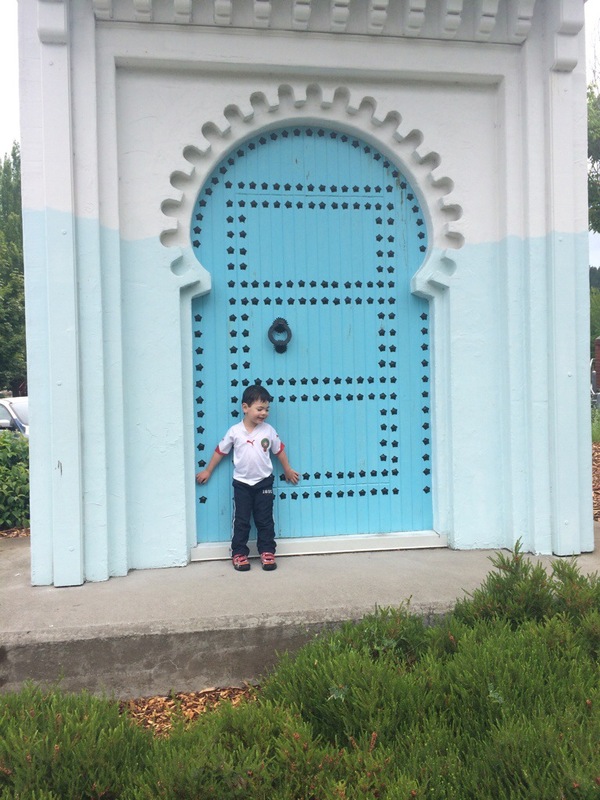 We took a moment to pose in front of the Moroccan door from issaquah’s sister city. Sam’s shirt attracted the attention of the mayor, who told us that he has been to morocco many times. He also told us all about one of the statues downtown. Nice guy! That’s super cool! Maybe sometime you guys can make it to Morocco!!! We’ll be home next summer so maybe we can meet at mom’s or dad’s house.